The IDF Chief of Manpower is searching for rabbis to help lower tensions between religious establishment and the army. In light of the tensions with the Religious Zionist public caused by the plan to integrate female soldiers into tank units, as well as other issues that led to conflicts, the IDF Chief of Manpower is seeking out rabbis with whom to initiate dialogue. 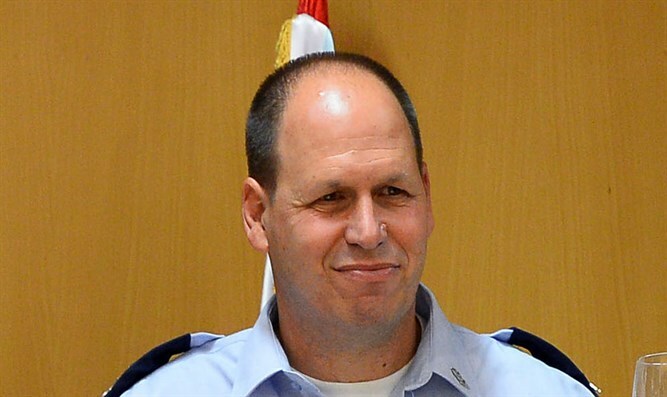 Maj.-Gen. Haggai Topolansky, who commands the IDF Manpower Department, met last night with Col. (res.) Yonatan Baransky – a former Commander of the hareidi Netzach Yehuda combat brigade. The two discussed the tensions that have arisen between the army and the religious-Zionist public as a result of the new "integration" policy. Many rabbis have reacted by saying that it is forbidden for male soldiers to serve with women in close quarters, such as tanks and secluded outposts. Some called for a refusal to join combat units if the policy does not improve. Topolansky also asked Baransky to recommend rabbis who would join a joint committee to help resolve the issues at stake. "The Personnel Chief understands that there is a problem," Baransky said after the meeting, "and he realizes that it is important to calm tensions and rebuild trust." Topolansky was quoted as saying that any soldier who grows a beard for religious reasons will be allowed to keep it, an issue that gained headlines several months ago, and that he views the mission of "lowering the level of tension vis-à-vis the religious-Zionist public as one of critical importance." He said he wishes to establish a committee for dialogue with this public, and asked Baransky for names of rabbis he would recommend as members. Religious Zionist soldiers and officers make up close to a third of combat units.